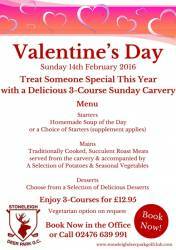 Treat someone special this year with a delicious 3-course Sunday Carvery. 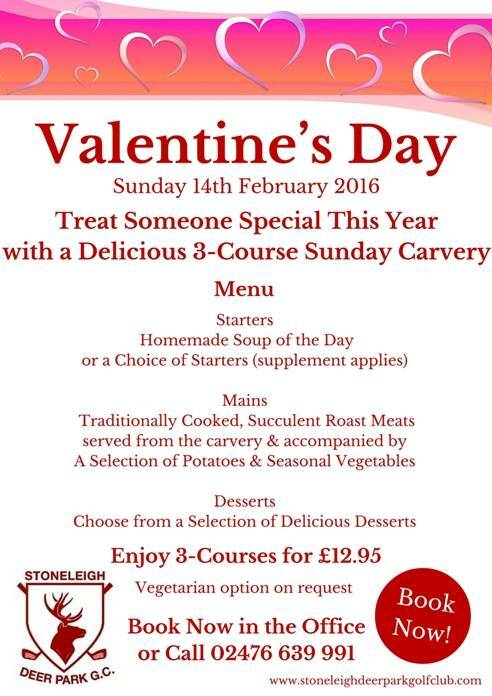 Come and celebrate Valentine's Day at Stoneleigh. Enjoy a superb Sunday Lunch and relax in the most stunning of settings. Tables are now available to book, so please call 02476 639 991 or pop into the office to reserve yours urgently!